Funeral services for Otis Thomas were held Saturday November 5, 2011 at 11 a.m.at the New Hope Baptist Church in Montezuma, Georgia. Burial followed at the church cemetery. Deacon Otis Thomas, Sr., 64, of New Britain, Ct., passed away peacefully Thursday October 27, 2011 at the UConn Health Center in Farmington, Ct.
Otis was born in Macon, Georgia and was the son of the late Willie B. and Rosa Mae (Turner) Thomas. He was the owner and operator of Hammer and the Nail Construction Company and served as a Deacon at The Walk in the Light Apostolic Church, Hartford, Ct. He was the devoted husband of thirty-eight years of Barbara (Cochran) Thomas of New Britain, Ct. and the father of his daughter, Tina Thomas of East Hartford, Ct., his two step-daughters, Tammy Cochran and Ollie Jeannette Cochran, both of Hartford, Ct. and his step-son Randy Cochran of Savanna, Georgia. Otis is survived by his five brothers, Tommy Thomas of Manchester, Ct., Charles Thomas of Montezuma, Georgia, Cornelius Thomas of New Britain, Ct., Gary and Henry Thomas, both of Snellville, Georgia, his five sisters, Rosa Tyler of Bloomfield, Ct. Ada Thomas of New Britain, Ct., Evelyn Thomas, Bonnie Calloway and Polly Reeves, all of Snellville, Georgia, his eight sisters-in-law, his five brothers-in-law, his twenty-one grandchildren and a host of nieces, nephews that loved him deeply. Otis was predeceased in death by his two sons, Otis Thomas, Jr. and Brad Thomas, his six brothers and one sister. 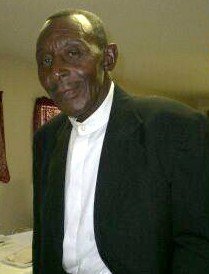 Funeral services for Mr. Robert "Pete" Williams will be held Thursday, October 27, 2011 at 1:00 PM at the Inspirational Church by Faith in Americus, GA with Evangelist Darron Jackson officiating. Burial will follow at the Staley Memorial Gardens. Mr. Robert Pete Williams was born in Kimbrough Georgia on May 28, 1928 to the parentage of the late Eliza Scott Williams and the late Percy Williams Sr. He received his education in the Webster County School System. At an early age he joined the Bethel AME Church in Webster County and continued his Christian journey at United Holiness Church here in Americus, Georgia; later in life he began attending New Life Holiness Church in Oglethorpe Georgia. Mr. Williams enjoyed spending time with his kids, grandchildren and working. He was preceded in death by his wife of 60 years Mrs. Evia Lee Dunning Williams, one son Mr. Robert Pete Williams Jr. and a grandson, Allen Dixon. Mr. Williams died on Saturday, October 22, 2011 at the Medical Center of Central GA in Macon, Georgia. Left to cherish his memories one son Johnny (Vatis) Williams his daughters, Pastor Lora (Johnny) Gaines, Cloris Dianne (Frankie) Laster, Sally (Ray) Lasiter all residing in Americus, Georgia, Shirley (Otis) Holcomb of Columbus, Georgia, Maudie Ree (Alphonia) Leary of Byromville, Georgia, Roxie (Rudolph) Dixon of Bridgeport, CT and Eliza Williams of Riverdale, IL; Thirty grandchildren: Charlotte Williams, Ladarius Williams, Michael Williams, Mark Williams, Vatis Suzette Williams, Jonetta Williams, Darron Jackson, Sharon Fencher, Patricia Jackson, Stephen Jackson Sr., Frankie Laster Jr., Angela Laster, Chauncey Laster, James L. Jones Jr., Anthony Lasiter all of Americus, Georgia. Alphonia Leary Jr., Schenita Dennard and Evia Kaigler of Montezuma Georgia, Otis Holcomb, Jr., Ren’a Camon and Katrina Holcomb of Columbus, Georgia Malika Jones- Barrett of Fort Worth, Texas, Airman Destinee Jones of Panama City Florida, SSG Monroe Jackson Ill of Colorado Springs, CO, Makevia Dixon, Crystal Dixon all of Bridgeport, CT, and Deja Jones of Columbus, GA; forty-eight great grandchildren, two great-great grandchildren and a host of nieces, nephew, cousins and other loving relatives. Funeral services for Mrs. Louise Virginia McDonald of Hope Ct of Americus, GA will be Saturday, October 29, 2011 at 2:00 PM at Scott's Mater CME Church in Americus, GA. Burial will follow at Antioch Baptist Church. Louise “Ma” McDonald was born in Sumter County, Georgia on April 30, 1928 to the late Lula Smith and The late Mr. Golden. At an early age she accepted Christ as her Savior and joined the Union Whitely Baptist Church. One year ago she joined the Scott Mater Christian Methodist Episcopal Church. She departed this life on Tuesday, October 25, 2011 in the comfort of her home. She leaves to cherish her memories her husband William Jernigan: six children: Annette Foster, Edith McDonald Lewis (Cynthia) McDonald, Jr., Yvonne McDonald, Karl McDonald and Tony Sumlin; two sisters-in-law: Geneva Young and Lucy Bryant; one brother-in-law Freddie Lee Jernigan; 18 grandchildren and a host of great grandchildren, great, great grandchildren other relatives and friends also survive. Funeral services for Mrs Annie Ruth Brown of Montezuma, GA will be Friday, October 28th at 11:00 AM at the Magnolia Baptist Church. Burial will follow at Brown Chapel Baptist Church Cemetery. Mrs. Brown died on Monday, October 24th at the Flint River Community Hospital. Mrs. Annie Ruth “Polly” Brown, daughter of the late Simon Whitfield and Jimmie Ann Haugabook Whitfield was born June 9, 1931 in Montezuma, Georgia. She attended the public schools of Macon County and was a graduate of Macon County Training School. At an early age she professed her faith in Jesus Christ and joined Brown Chapel Missionary Baptist Church where she was a dedicated member. At Brown Chapel, she served faithfully as Mother of the Church, member of the Missionary Ministry, and head of the Hospitality Committee. She was united in holy matrimony to Reverend Lonnie Brown, Sr. in May of 1950. This union was blessed with nine children. Reverend Brown preceded her in death on March 21, 2000. Mrs. Brown was an active member of the Macon County Ministers Wives and Widows Alliance, Macon County Retired Teachers and Associates, and Macon County AARP. As a result of her generous spirit and pleasant personality, she was loved by many. Her Christian life was as beautiful as the flowers that she loved so well, and her influence will forever remain in the lives of all who knew her. She quietly departed this life Monday, October 24, 2011 at Flint River Hospital in Montezuma, Georgia. She was preceded in death by her daughter, Ruth Ann Jordan, son, Tyrone Brown, and brother, Emory Bailey. Her beautiful life will forever be cherished in the lives of her children: Reverend Bobby (Flora) Brown, Reverend Ruben (Dr. Crystal) Brown both of Fort Valley, GA, Reverend Lonnie Brown, Jr. of Andersonville, GA, James (Treny) Brown of Montezuma, GA, Donald Brown of Warner Robins, GA, Teresa Hannor of Oglethorpe, GA, and Rodney Brown of Montezuma, GA; daughter-in-law, Dorothy Brown of Montezuma, GA; sixteen grandchildren, nine great grandchildren; brother, Billy (Delois) Journey of Atlanta, GA; brothers-in-law: David Larry and Willie C. Thomas; sister-in-law, Dollie L.West; aunts and uncles: Clifford Brown of Montezuma, GA, Lottie Mae Brown and Mary Lizzie Brown of Marshallville, GA, Bernice Brown of Miami, Florida, and Ophelia Larry of Henderson, GA; devoted family members: Mary Louise (Reverend Hosie) Waters, Annie Ruth Bowman Brown, and Shirley Brown; a host of devoted nieces, nephews, cousins and friends. Funeral Services for Mr. Jimmy Harvey age 40 of Americus, GA will be held Wednesday, October 19, 2011 at 11:00 AM at the Union Tabernacle Baptist Church with Rev. Roosevelt Key officiating. Burial will follow at the Eastview Cemetery. Mr. Jimmy Harvey was born on June 26, 1971 in Americus, GA to the late Rubin Harvey and Mary Alice Harvey. He was educated in the public schools of Sumter County. At an early age he joined the Union Tabernacle Baptist Church under the leadership of the late Rev. Ulysses Brown. He was once employed as a production Assembler at Cooper Lighting in Albany, GA also at Woodgrain Molding and Cooper Lighting in Americus. Mr. Harvey died on Thursday, October 13, 2011 at the Phoebe–Sumter Medical Center in Americus, GA. He leaves to cherish is memory his mother, Mary Alice Harvey; three daughters: Laquida Harvey, Deundra Denmark both of Americus, GA and Nzali Harvey of Jacksonville, FL. ; one sister, Willie Mae Mitchell of Atlanta, GA; four brothers: Ruben Harvey, Jr. of Chester, PA, Michael Harvey, David Harvey, and Alfonso Ross all of Americus; four loving grandchildren: Harmony Parker, Zachary Denmark, Joshua Parker and Chrishyia Howard; three devoted aunts: Lula Mae Waters and Varness Sutton both of Americus and Barbara Ross of Detroit, MI; a devoted uncle, Moses Ross of Buena Vista, GA and a devoted god-mother, Elsie (L.C) Denmark of Americus. Several other relatives and friends also survive. Mr. Dock French, Jr. age 81 of Smithville, GA died on Friday, October 7, 2011 at Phoebe Putney Memorial Hospital in Albany, GA. Funeral services will be held Saturday, October 15, 2011 at 12:00 Noon at Friendship Baptist Church in Americus, GA. Mr. French will lie in repose at the church from 11:00 AM to Noon. Mr. Dock French Jr. affectionately known as (Junior) was born on September 15, 1930 in Lee County to the late Dock French Sr. and Bobbie French Brown. He is the sixth of six siblings that all preceded him in death, Four sisters: Birdell Anderson, Sadie Thomas, Bessie Cokin, and Flossie Thomas, one brother Ruben French Sr. Dock was educated at MacAfee Baptist Church in Lee County. In January 1953, he was united in holy Matrimony to Mary Cutts French, God blessed them with Eight Children; three Sons and Five daughters, two Sons preceded him in death, Andrew French Sr. and Ulysses Daniels. On August 25, 2011 Dock gave his life to Christ and accepted him as his personal Savior. He joined Jerusalem Grove Missionary Baptist Church during their Annual Revival, under the leadership of Pastor Charles Carr, and Dr. Timothy French, the guest Speaker. Dock was a farmer for many years at the McCray farm Smithville, GA he later worked for Reeves Construction Company for 40 years where he retired. After his retirement he started working at Smithville Pecan Company for Mr. Lee Cook. He loved his job. He was well known and respected throughout the Community; many people were drawn to him because of his great sense of humor, and personality. He never met a stranger. Whenever you didn’t see him sitting around downtown he was somewhere fishing with Willie, and Boo or just hanging out with his road dog Sam Sneed. He loved life, having a good time Barbecuingand sitting around a fire with his family and friends, especially his nephews whom he loved dearly, Willie French, Charlie Barner, Vincent Dismuke, Dewayne Thomas, Charlie & Cletus Thomas, Willie Edward, Kent, Lamonte and many others. On Friday, October 7, 2011 God called his Courageous Soldier home. Those left to rejoice and celebrate his life are his six children: Doc French III (Barbara) Macon, GA, Gussie (Willie) Whitaker, Glenda French, Aldean French, Mary V Adkins all of Albany, GA, Clara French Thomas, Smithville, GA; a devoted friend Ms. Irene Tolbert Albany, GA; A very sweet and devoted Caregiver, his niece Doris (William) Angry Smithville, GA; twenty four grandchildren, twenty six great-grandchildren and five great, great grandchildren; seven brother in laws: Douglas Cutts, Clifford Cutts, Smithville, GA, Willie Green (Martha) Cutts, Calvin Cutts, Desoto, GA, Johnny (Gloria) Cutts Albany, GA, Walker Lee Wright, Miami FL, Solomon Mack, Boynton, Beach FL; five sisters-in-law: Elizabeth Cutts, Albany GA, Evelyn (Jerry) Iverson Montgomery AL, Addie Cutts, Desoto GA, Rosie Godbee (Willie) Miami, FL and Vera Rivers Smithville GA and a host of nieces, nephews, cousins and friends.